A great looking kit at a massive saving from the regular price! Limited stock. Racing down the track from AMT is the 1/25 scale 1964 Dodge 330 "Color Me Gone". 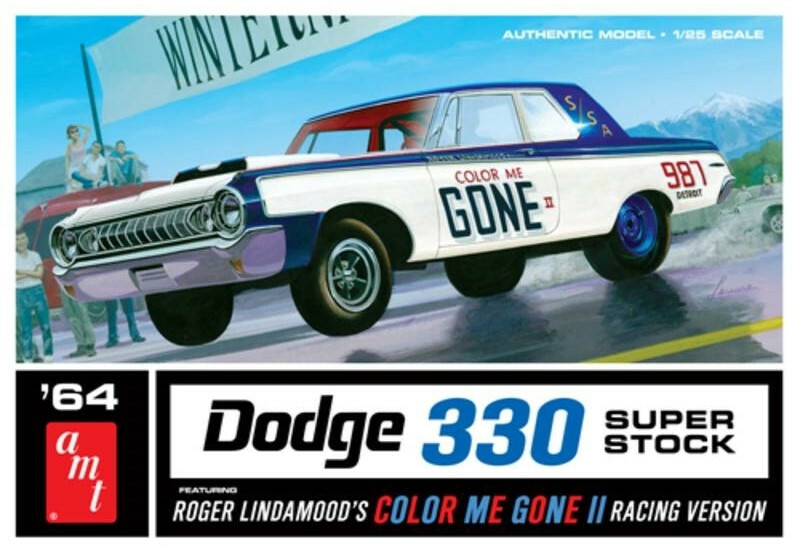 A historic car in drag racing lore, the 1964 Dodge 330 "Color Me GONE" was built and driven by Chrysler transmission laboratory technician Roger Lindamood. Implanted with a 426 big block, the car could hit a 12 second quarter mile. AMT puts this kit on the starting line. It features white, clear and chrome parts with rubber tires. 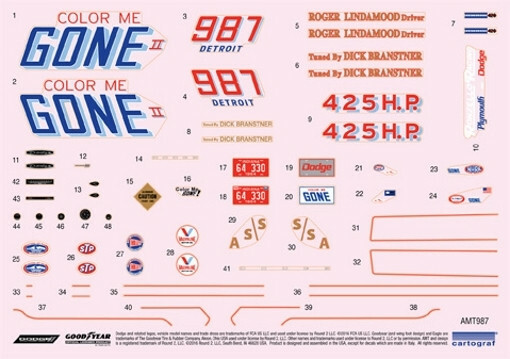 An illustrated instruction sheet assists assembly and a full color decal sheet rounds out the product.